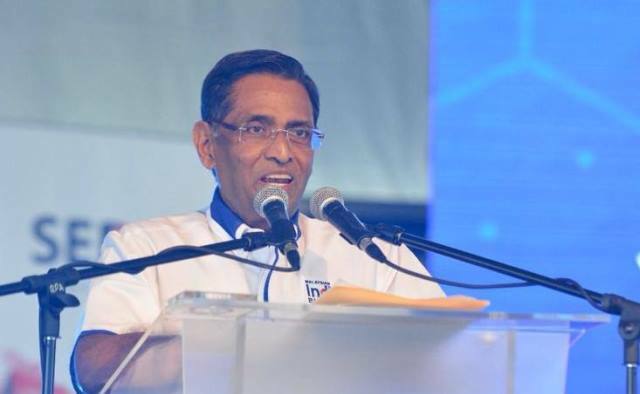 Kuala Lumpur – MIC President Datuk Seri Dr S.Subramaniam has called on all Malaysians to unite and work together for a better Malaysia, in a press statement posted on his facebook. 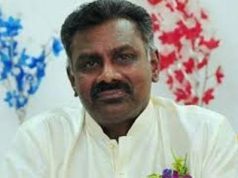 Dr Subra has also called on the incoming new government to continue the initiatives mooted by the outgoing Barisan Nasional government in uplifting the Indian community through the Malaysian Indian Blue Print. The results of the 14th General Election is common knowledge to all Malaysians. For those of us in the Barisan Nasional, the results were indeed unexpected and shocking. Whilst we were aware that certain national issues had attained dissatisfaction among some of the Malaysian public, the extent of this dissatisfaction was something that we truly under-estimated. The anti-BN wave in this election has completely dwarfed the political tsunami of 2008. Amidst this disappointment, it is important for us to accept the results wholeheartedly and move on. It is now time for us to pick ourselves up and carry out our duty as a vocal and critical member of the Opposition. In their quest for Putrajaya, the Pakatan Harapan has made plenty of promises to the Malaysian public. Time will tell if they are able to fulfill these promises. The Malaysian people have invested a lot of hope and faith in the PH. I pray that the faith of the Malaysian people in the PH will indeed be honoured. On a personal note, I am indeed disappointed that I was unable to retain my position as the Member of Parliament of Segamat. To the people of Segamat, I believe I have served you for the past 3 terms to the best of my capabilities. Segamat has seen various massive infrastructure developments during my time as it’s MP. It saddens me that I will not be able to carry out the economic development programmes that I had envisioned as part of the Segamat Economic Development Action Plan. On a national front, the Malaysian Indian Blueprint was launched in 2017. It has very specific initiatives which were designed to transform the Indian community over the next ten years. 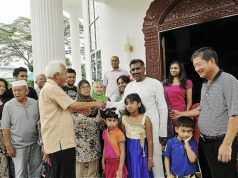 Among the initiatives that are being implemented are the Tamil School development programmes, the setting up of SITF service centers, the temple transformation programmes, the RM 1.5 b worth of investment opportunities for the general Indian community and the RM 500 million assisted investment opportunities for the bottom 40%. It is my hope that these initiatives will be continued and followed through to attain and realise its intended goals. I have truly enjoyed my tenure as your Health Minister. I am proud to have initiated various transformation initiatives that have taken the Malaysian public health sector to greater heights. Elections come and go but this great nation of ours has to succeed. Let us unite and work together for a better Malaysia.